Testing Automation is one of the most efficient ways to achieve faster go-to-market. How to automate Rest web services using SoapUI was the challenge faced by our client. 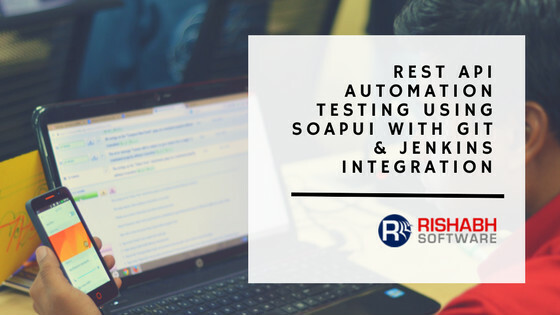 Rishabh Software implemented a test automation solution by automating Rest API using SoapUI and integrating with Jenkins & GIT. How to automate Rest Web Services using SoapUI to implement automation testing? That was the challenge faced by our client, a 20-year-old business, and technology solutions firm. Other challenges faced were to test its enterprise mobile application which helps enterprise sales forces and individual sales associates to manage productivity better and improve sales operations by organizing their customer data, planning daily sales routes and improving customer relationships. The application required automated advanced testing of web services due to frequent changes in the functionality. Also, they have the plan to integrate other CRM with the application, so web services automation can give rapid delivery and smooth releases. After evaluating several other vendors, the client finalized Rishabh Software as their preferred QA and enterprise app development partner based on the testing & mobility expertise, various skill set, and vast experience in building Automation testing solutions. 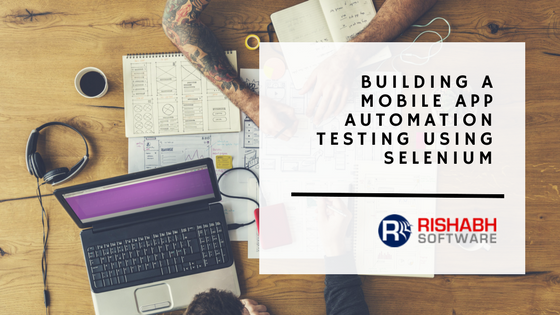 The testing team at Rishabh Software understood the mobile app & release model. The client was using Chrome plug-in called as Restlet Client – DHC Pro for manual testing, so they wanted the automated scripts for testing the Rest web services using open source tool. The client was using Git as a central repository, all the scripts were to be linked to this repository for future reference. The client had Continuous Integration with Jenkins which is used continuous integration for developers as well as testers scripts. Jenkins was linked to the repository of the latest automation scripts and these scripts were scheduled, so they run every day on the latest code and email the test report to the responsible owner. Test suits need to be packaged in a manner such that it can be called independently. Verify test cases by defining different types of assertions and generate SoapUI scripts using different features like multiple environment support, data driven approach, different types of assertions: e.g. SOAP Response, XPath Match, XQuery Match, Script Assertion, property transfer, and Groovy scripting. Live automation scripts were integrated with Jenkins through testing.xml for executing test suite and .bat file to execute .xml and sync automatically with the repository every time script changes and check-in to the Git repository. HTML test reports were auto-generated and emailed to the testers after successful execution of automation solution. A business & technology solutions firm offering IT assessment, systems integration, application development, mobility applications, cloud computing and legacy system modernization to small and large enterprises for over 20 years. Rishabh Software offers testing solutions in various industry verticals with the support of latest tools and technologies. Our testing team believes in process centric approach and innovations. 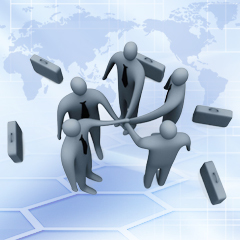 We have tested many software applications and have ensured their launch success.